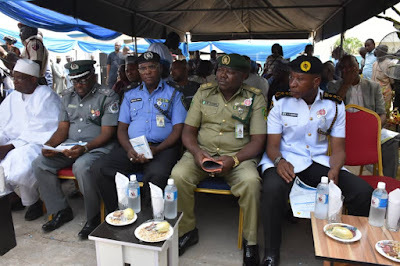 The Federal government has warned motorists and members of the public against vandalism of road traffic signs and directed security agencies to be on the vigilance to apprehend and prosecute those that distort and deface the signs in the name of pasting their religious and political posters on them. 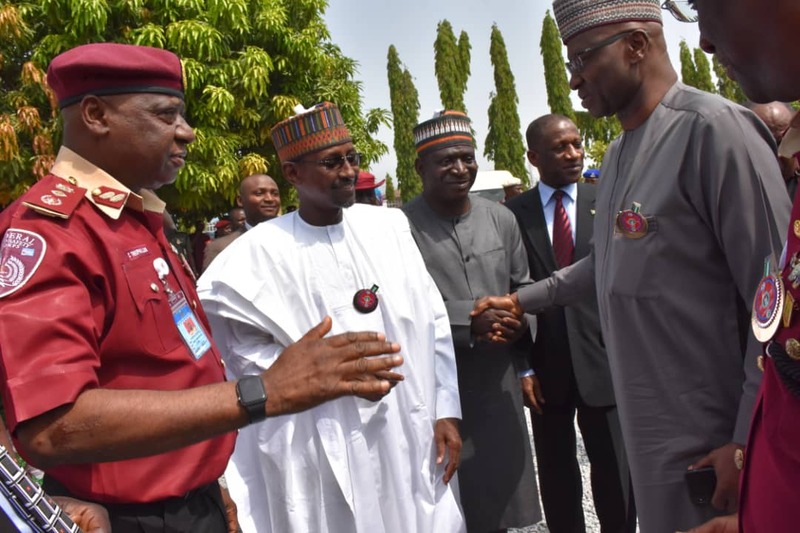 The warning was given by the Secretary to the Government of the Federation (SGF), Boss Mustapha while commissioning the Federal Road Safety Commission (FRSC) Road Traffic Signage production plant in Gwagwalada, FCT. According to the SGF, the practice of using substandard, poor and distorted road signs on the nation's highways would no longer be tolerated now that Nigeria can boast of a plant with the requisite capacity and expertise to produce and meet national demands. 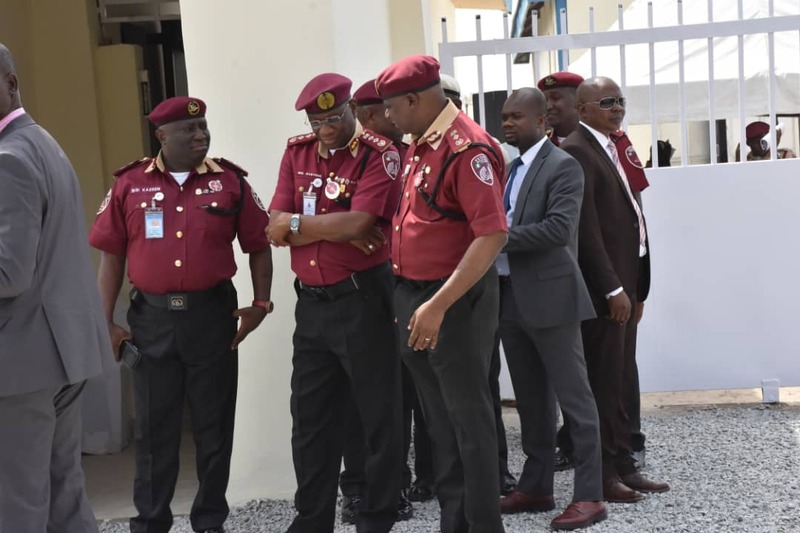 He urged all tiers of government to patronise products from the FRSC plant as away of ensuring standards and uniformity in the country in line with the 1968 United Nations convention on road traffic signs and signals which the President assented to recently. 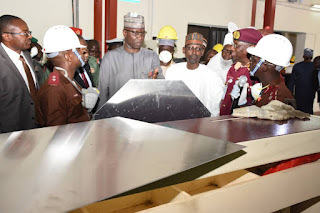 Boss Mustapha described the commissioning of the plant as a fulfilment of the promise made by the present administration in 2015 to install road furniture on all parts of the roads in the country. He enjoined road users to take obedience to traffic signs seriously, stressing that henceforth, Federal Government will no longer condone indiscriminate use of non standard road signs on the nation's roads, adding that conditions for determining the approved signs on the nation's roads would be more strict. 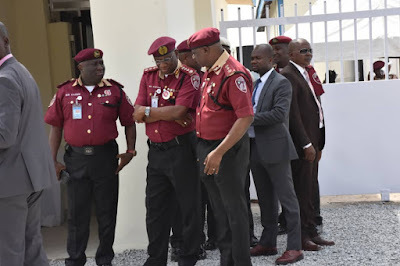 He called on the Federal Ministry of Power, Works and Housing and the FRSC to evaluate the use of the recommended road signs to determine people's compliance with the standard. 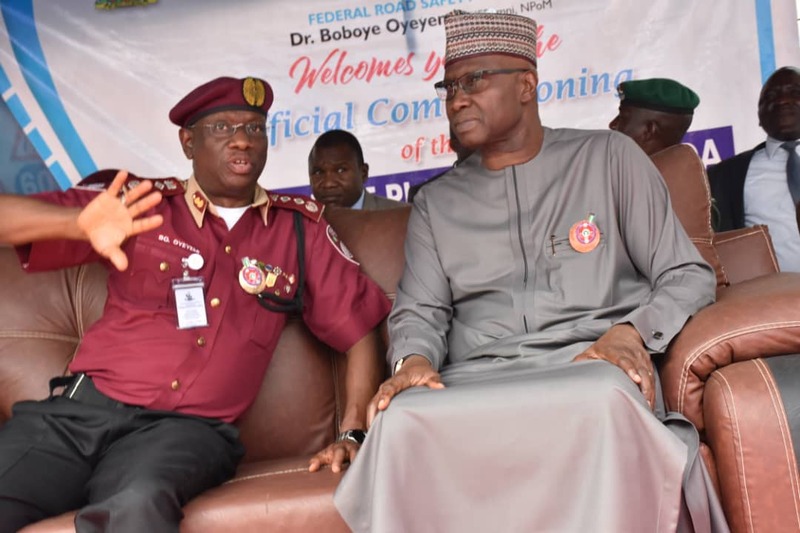 The SGF assured that the Federal Government will continue to support the campaigns for safer road environment by the FRSC through logistics provision and legislative empowerment of the organization. In his welcome address, the Corps Marshal of FRSC, Dr Boboye Oyeyemi disclosed that the initiative for the establishment of the road signs production plant was the outcome of several studies carried out on the types and use of various road signs on the nation's roads. 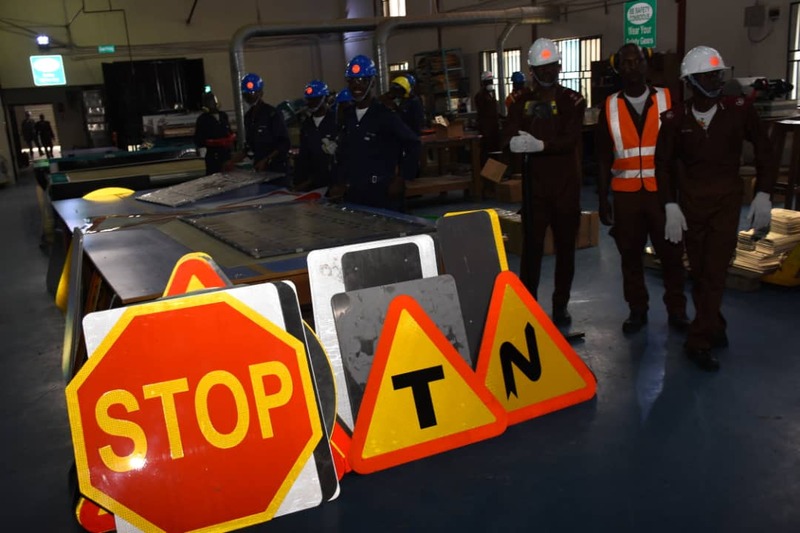 Oyeyemi further stated that the report of the studies showed that Nigeria was using different makes, colours and shapes of traffic signs on its roads, thereby defying the acceptable international standards. 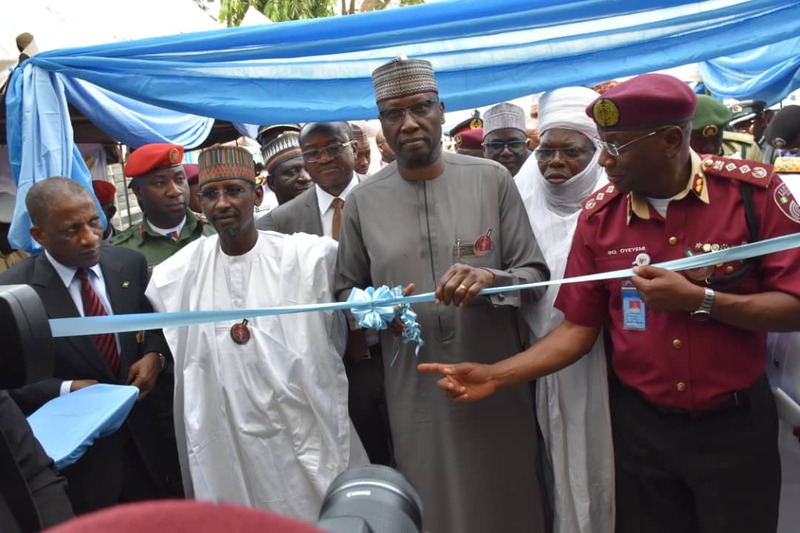 This he said led to the need to find solutions through the Corps' investment in the plant with a view to upholding uniformity and standards that conform with the global best practices. He gave assurances that with the installed capacity of the plant and its optimal production, it is capable of meeting national demands for the signs and even that of countries in the West African subregion. The Corps Marshal expressed gratitude to the Minister of Power, Works and Housing who's collaboration and support to the Corps led to the success of the project. He called on other tiers of government to emulate the Minister's example to make the country conform to international standards in road signs usage. 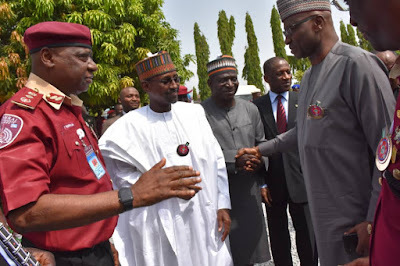 In his own remarks at the occasion, the FRSC Board Chairman, Mallam Bukhari Bello expressed gratitude to President Muhammadu Buhari for demonstrating unprecedented goodwill, support and solidarity to the FRSC in road safety campaigns. The gestures, he said, have inspired the entire staff who have rededicated themselves to improved service delivery. The Chairman further stated that the commissioning of the plant was in furtherance of the President's recent ascension to the 1968 UN convention on road traffic signs and signals, the instruments of which have been deposited at the UN Headquarters as a demonstration that Nigeria is a serious member of the international community committed to issues of road safety. He gave assurances that the Board would continue to make policies that could promote safer road environment in the country. 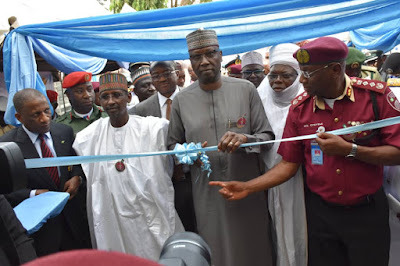 In their different goodwill messages, both the Ministers of the FCT, Mallam Mohammed Bello and that of Power, Works and Housing, Babatunde Raji Fashola who was represented, expressed solidarity with the FRSC plant and disclosed that they have issued directives to their respective Ministries to the effect that they would not accept road signs that do not meet the required international standards. 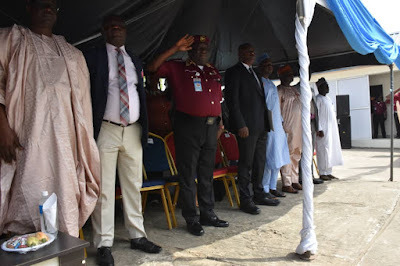 This they said, makes it imperative that contractors handling road-related projects for their Ministries patronise products from the FRSC plant. 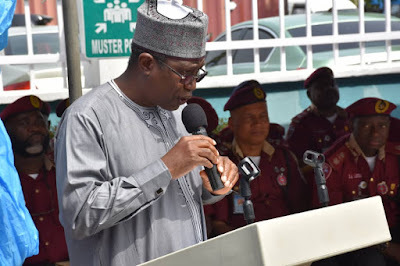 While expressing dismay at the level of disobedience by members of the public to road signs especially motorists in the country, the FCT Minister particularly urged the FRSC to lay emphasis on human behaviour in its public enlightenment programmes as a causative factor in road carnage. He called for improved budgetary allocation to the FRSC to enable it carryout its statutory responsibility of educating road users for safety on the roads. 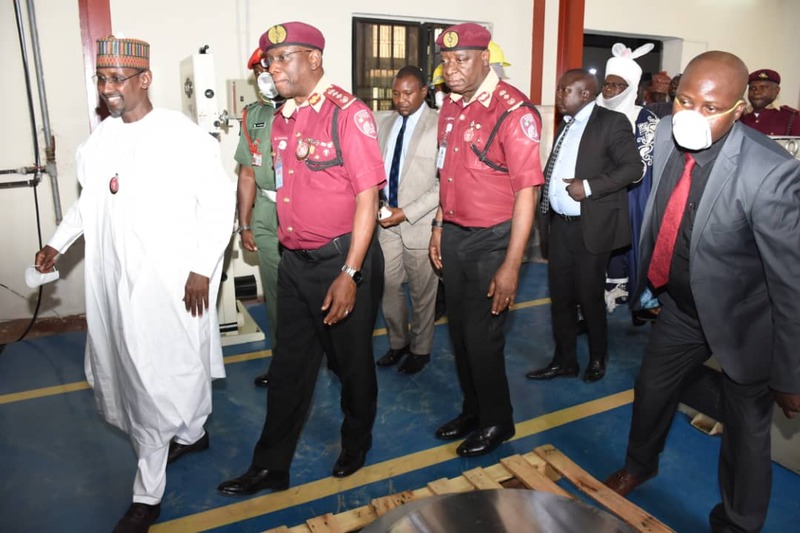 Highlight of the event was the facility tour undertaken by the SGF, the Ministers and some special guests who were led on the by the Corps Marshal. 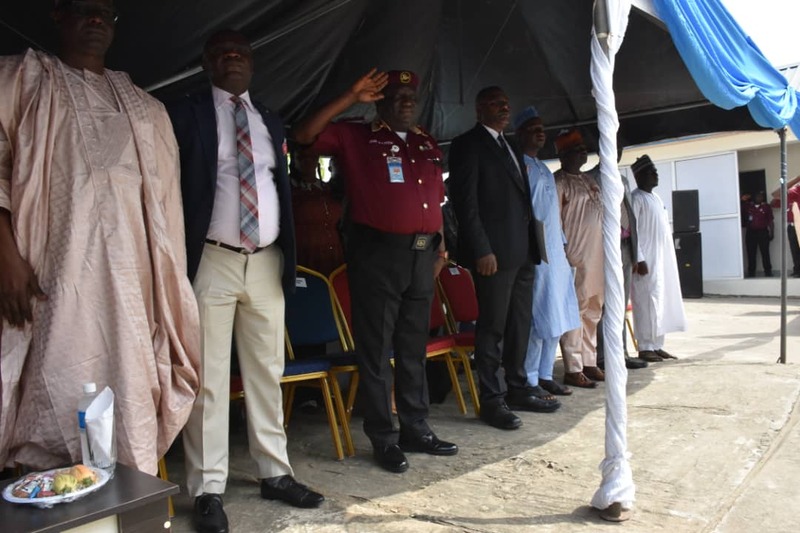 The commissioning ceremony was witnessed by senior government officials, representatives of the Service Chiefs, members of the transport unions and traditional institution led by the Agwuma of Gwagwalada.